You’re on the hunt for the florist that can bring your vision of your wedding to life, but where do you begin? You may have someone in mind already, you may know them or have seen their work first hand at another wedding, but are they the one for you? Choosing the style and decor for your celebration is a very personal decision, and can involve a lot of emotion. The choice you make has to feel right, and you have to trust that your florist understands the look that you want to create. I’ve always believed that my couples choose me as their florist because they want ME to do their flowers. It’s my name on the website, so they are reassured that all their dealings will be with me (and they always are). This creates a sense of confidence. So to begin at the beginning, how do you go about finding your wedding florist? Many of my couples find me as a recommended supplier at their wedding venue. Being recommended means that I know how a venue works, what is and isn’t allowed, what works best in certain areas and that knowledge gives couples a clearer understanding of what their wedding could look like. Increasingly Instagram is influencing couples floral choices. It’s a great way to find a style you love, connect with a florist and see their portfolio of work, and once you’ve booked them to see what they’re doing in the lead up to your wedding. Wedding Fairs and Showcases - these are a great way to see up close and personal what a florist’s work is like. You’ll also get the chance to find out if you actually like them in person! Remember, you’re going to be working with your florist for many months, and sometimes for more than a year. You need to feel absolutely confident that they understand you and vice versa. A gorgeous website and fabulous PR may attract potential clients, but if a supplier can’t back that up with practical knowledge and expertise it’s time to walk away. Choosing your flowers is an enjoyable part of the planning process, it’s all about the creativity so dive in. Once you have found your dream florist though, don’t wait. Book them before someone else does! Next month, I’ll be covering the questions you need to be asking right from the start. Welcome to the New Year, and to the first of my monthly posts for 2019. Over the coming year I’ll be sharing the knowledge I’ve gained over the last 28 years as a florist; together with advice about creating the dream floral scenario for your wedding. Starting with how social media influences your decision making choices, and mentioning the money side of things as well; over the coming months I’ll be delving into much more detail about every aspect of wedding flowers, helping you create your dream celebration. Firstly, I want to say that choosing the flowers for your wedding is one of the most enjoyable parts of the planning process (or at least it should be)! We’re not talking nuts and bolts here, but a beautiful part of your celebration that will take centre stage throughout the day, and for years to come in the photography. Secondly, the way couples choose the flowers for their weddings has changed beyond all recognition from when I started my training at the end of the 80’s. Traditional flower shops with commercially produced catalogues have given way to social media. Instagram and Pinterest have opened a whole new world that you never knew existed! They’re saturated with gorgeous images of flower walls, enormous hanging installations, arches and flower heavy photoshoots. The floral world is your oyster, and it’s hard to know where to begin. My advice is STOP! Before you get completely carried away, and bombard some unsuspecting florist with 47 images of wedding bouquets, start with the money! I’m in a fairly unique position, in that I’m married to a wedding planner, so I’m very familiar with the budgeting that my husband advises his clients to allow for each element of their wedding. Most couples don’t know this crucial information though, and to be honest why would they? Unless you’re used to spending a five figure sum on flowers for your house every week, you’re never going to spend that much on them, except for a wedding. The cost of wedding flowers is sometimes like the elephant in the room. Couples don’t like talking about it, and much of the wedding industry seems to be ignoring it. A lack of discussion about what wedding flowers actually do and can cost leads to a huge amount of frustration, misunderstanding and embarrassment for florists and clients alike. 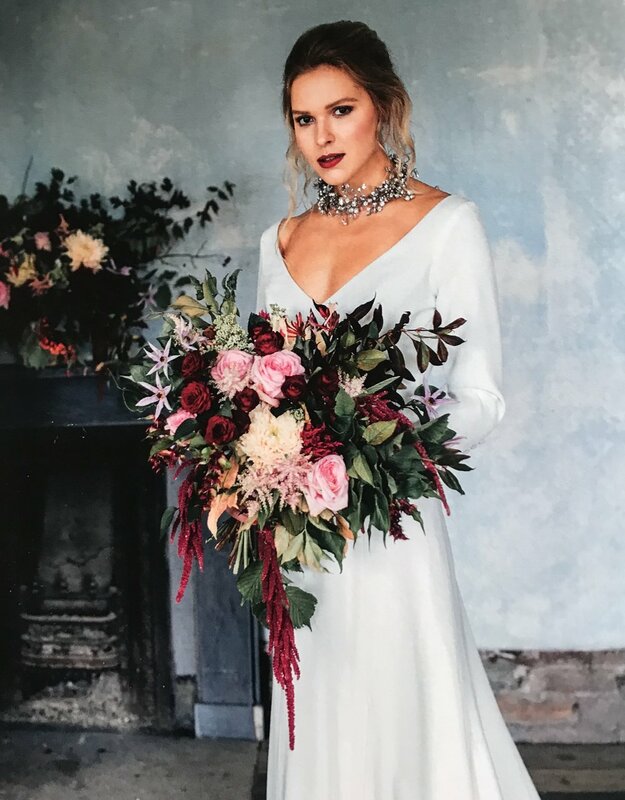 A serious lack of information about the work involved for a wedding florist isn’t helped by the media and bridal press telling couples to ask for discounts, and that they can have it all on a budget of £500. There is of course nothing wrong with spending £500 on wedding flowers, as long as you don’t expect them to look like £5000! MY advice is to ALLOW 10% of the overall budget for flowers. That doesn’t mean you have to spend 10%, but keep it in mind as you decide on on your guest numbers, the number of arrangements you want, and crucially the work it’s going to take to make it all happen. I firmly believe that you should choose your wedding florist because they’re creative and talented individuals, and because you love what they do. Start from that point and everything else will follow. Next month I’ll be covering the first steps in choosing a florist, and the questions you need to ask. Coordinating the flowers that complement your bridal party may seem like a daunting process, but there is plenty of advice around to help you make the perfect choice for your wedding. Keep reading to find out some great advice for the stylish boys (and girls) who'll be starring at your celebration. As the big day gets closer, future brides and grooms face the challenge of dressing their wedding party. We know that choosing the perfect wedding dress can cause a lot of stress, but there are many behind the scene details that go into picking out the perfect bridal party attire as well. It’s important that everyone standing by your side coordinates flawlessly, so your wedding vision can come to life. Since we know this can be a big feat, let’s discuss a few simple ways to make sure your wedding party looks their best on your big day. The same thing goes for the groomsmen in your wedding party. While wearing the same style of suit or matching ties offers a classic look, don’t be afraid to mix and match, especially when it comes to colours and patterns. There are plenty of other ways to stick to a theme rather than wearing all the same shade. For example, different patterned dress shirts add great style and extra flare to your wedding attire. While it may seem that multiple shirt patterns could clash, there are different ways to bring everything together. One way to unite the patterns and tones is to have all your groomsmen wear the same flowered buttonholes. The colours from the flowers and greenery will balance the patterns for a cohesive look. Another option is to have your groomsmen wear the same style and colour suit. Patterned shirts will then look more harmonious when your groomsmen are standing next to each other for the all important photographs. These are just a few options to choose from. There are a variety of other ways out there to bring the looks of your wedding party together. Whether it’s incorporating different flower colours, textures or patterns, don’t be afraid to think outside of the box when looking for alternative ways to dress up your wedding party. What are some creative wedding attire options that you want to try with your bridesmaids and groomsmen? If you’re struggling to find the right flowers and colours to dress your wedding, look to the experts for inspiration and advice! After all, they have a special eye that is sure to help your big day bloom beautifully. 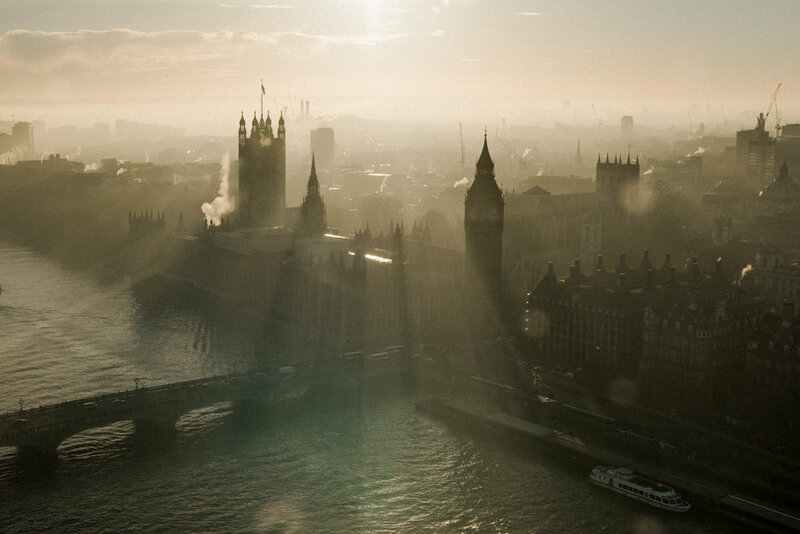 Megan and Sarah's London wedding was a wonderful celebration of love, family and friends. On a bitterly cold day between Christmas and New Year, their celebration was captured stunningly by photographer Laura Babb, whose emotive and atmospheric images perfectly captured the warmth of this special day. I was introduced to Megan and Sarah, who live in the US by wedding planner Andri Benson, who coordinated all the practical and design details of the day. The ceremony venue was the very evocative Asylum Chapel in Peckham, a deconsecrated event space which is full of faded charm. 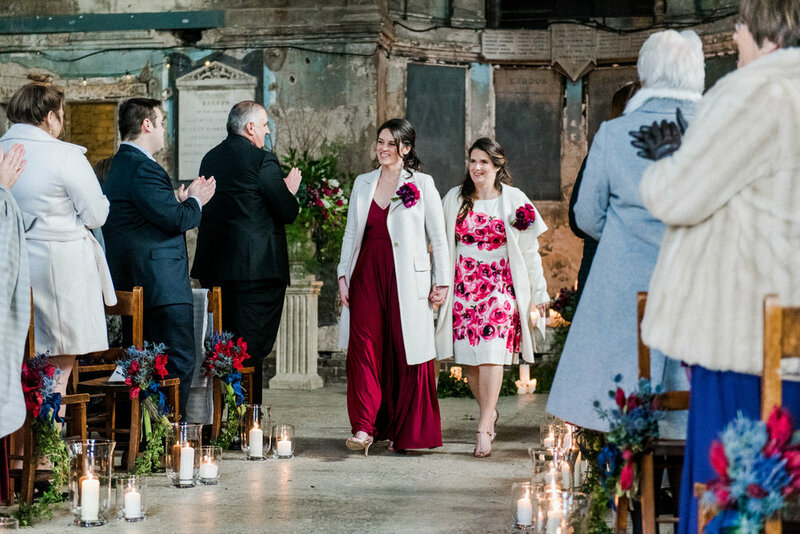 For their flowers Megan and Sarah chose a colour palette of rich burgundy, plum and blue. They exchanged their vows in front of dramatic urns filled with flowers and rich seasonal greenery, while dozens of candles added warmth and atmosphere to their ceremony space. Instead of carrying bouquets, Megan and Sarah wore blousy corsages, while their wedding party all had buttonholes. These proved very useful for the post ceremony trip on the London Eye, and stopped guests getting lost! As darkness descended guests arrived at St Bart's Brewery in Smithfield for the evening celebration. Long banquet tables were set for guests to enjoy warming sharing platters, and dressed with floral arrangements of roses, tulips, hyacinths, thistles and winter berries in copper bowls and vases. December can be a drab time for weddings, but Megan and Sarah's post Christmas celebration was the perfect combination of love and happiness in our iconic Capital.